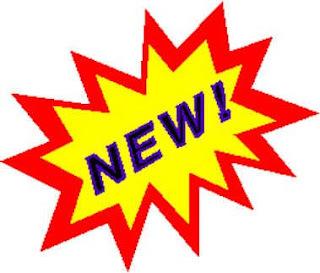 In this post I'll be sharing a few new things I've found lately. Number 1: A cover of Wilco's Radio Cure by the Bad Plus. The Bad Plus are like an alternative jazz band, similar to Brad Mehldau (if you don't know him, buy the album Largo now!) and in their most recent album, they included a cover of Radio Cure, a track from Wilco's album Yankee Hotel Foxtrot. They take some nice liberties by making it their own, but the beauty and awesomeness of original song remain intact. It starts out a little odd but really picks up towards the end. It's a great listen and shines a new light on an already great song. Number 2: I recently found out about the band Funeral Party and they are really awesome! Like REALLY REALLY awesome. They kind of have a dance aspect to their sound but bring an Alt. Rock hint to it. They have a really fresh sound and I'm really excited about them. I could only find 3 of their songs on iTunes and I couldn't find any of them on the internet so if anyone wants to send me some more of their stuff let me know! They are definitely worth checking out and the 3 songs are definitely worth buying on iTunes. Number 3: For those of you who watched the 500 Days of Summer trailer that I posted about a few weeks ago and enjoyed the song in it, I found out the name. It's called Sweet Disposition by The Temper Trap. Even if you didn't see the trailer (which you should), listen to the song. It's pretty good. Number 4: I found a really good Damien Rice single on iTunes called Unplayed Piano. It's very good and it's one of my favorite songs by him now. The song features Lisa Hannigan who I've never heard of but I really enjoy the song. It's very nice and relaxing. Number 6: iTunes sometimes has celebrity playlists advertised on the Music Store and I recently found Bon Iver's playlist. Some pretty interesting music and unfortunately I couldn't find it again but for those of you interested, you might want to check out what he's listening to. Bellow is a list of his picks. Thanks for checking in and I'll have a few new album reviews up in the next few days so be sure to check back. I was watching some upcoming movie trailers and I saw that they were remaking The Last House on the Left. I was quite skeptical but decided to watch the trailer anyway. To say the least it wasn't bad but what really helped it was using Sweet Child O' Mine covered by Taken by Trees. I had never heard of them before but I'm quite familiar to the original. It's pretty good and is very enjoyable. Taken by Trees take the perfect amount of liberties with the song and really turn it into their own. It was worth my 99 cents. 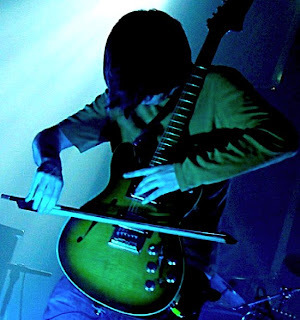 In 2005, Radiohead lead guitarist Jonny Greenwood wrote a symphony called Popcorn Superhet Receiver and recorded it by playing and looping over 200 orchestral parts himself. Later that year it was performed by the BBC symphony at the Wordless Music concert. Then in 2007, Paul Thomas Anderson used Greenwood's song as the soundtrack for his film There Will Be Blood. Ever since I learned this information, I have been searching for a full recording of the original song and I finally found a version being streamed online. I highly recommend you take a listen. It's truly incredible and an experience like none other. If you are so inclined I also recommend doing some research on the song. The process and ideas behind the song are really interesting and revolutionary. Below is the link to the stream. Enjoy! Hello everyone! It's been a while and I'm sorry for that but I'm back with a great new album from one of my all time favorites, Alt.-Country-Folk superstar, M. Ward. His new album, Hold Time, is his first solo album since the creation of his side project She and Him, and I think it shows. The songs on this album feel a little brighter and a little crisper. There are some really great tracks on this album and it's a lot of fun to listen to. This album definitely sounds more produced than his previous albums but it doesn't take to much away from the usual rawness found in his music. The music sounds much more put together and without any space between the parts of the songs. I know that sounds like a good thing but I prefer M. Ward with the Lo Fi recordings and scratchy instruments. There are some really awesome tracks on this album though including Rave On, Never Had Nobody Like You (both featuring the other half of She and Him, Zooey Deschanel) and One Hundred Million Years. The best song on the album however, is Oh Lonesome Me, featuring Lucinda Williams. This song is really fantastic and full of emotion. The combination between the two of them singing is really powerful and a pleasure to listen to. 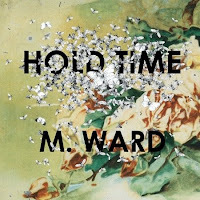 On Hold Time, M. Ward takes a new approach to his music. Instead of songs filled with heart ache, loneliness and folky guitar, the songs on this album are much happier and peppier. But as much as I like his new found happiness, I'm missing the classic M. Ward that he displayed so beautifully on albums like the Transfiguration of Vincent or Post-War. I think Hold Time has some really nice tracks and I definitely think the album was worth my $9.99 but in the end I'm going to give this album 3/5 stars. If you don't know M. Ward well, don't start with this album but I don't think fans will be too disappointed. 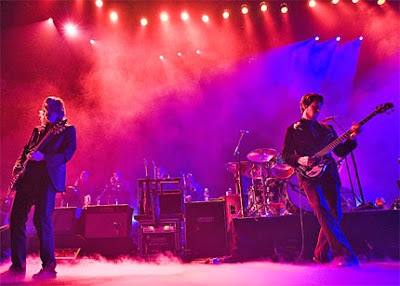 I just found the link to download a bootleg recording of My Morning Jacket's New Years Eve concert. It's really awesome and very good quality. If you saw the show, definitely get it and even if you're just a fan, you should still download it! 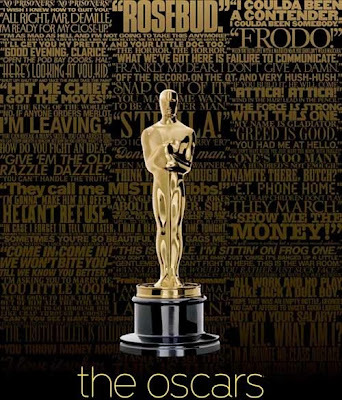 A few days ago the Oscar nominations were announced and I thought I would share my picks for this year. Unfortunately I haven't seen all of the movies up for awards this year (I plan to see a few more) so my picks are based only on the films I have seen and what I have heard about the ones I have not. I think it will be between Milk and Slumdog. I hope that Milk wins but based on how well it did at the Golden Globes, I think that Slumdog will win. I think it will be a close call between Sean Penn and Mickey Rourke but I think Rourke will go home with the gold. Almost anyone who has seen the film will agree that he deserves it. I have not seen any of these films yet this year but I think it will be between Kate Winslet and Meryl Streep. My decision for this one is based on previous roles and the Golden Globes. Meryl Streep has been around for a while and has won a lot of awards and she usually turns out solid work. Kate Winslet also has many good performances under her belt and considering her sweep at the Golden Globes, I think she might take the win. First I must say how funny it is that Robert Downy Junior is nominated. He is an awesome actor, he seems like a cool guy, he's making a huge comeback right now and his role in Tropic Thunder was hilarious. However, I don't think his character had enough power to go up against such names as Josh Brolin, Heath Ledger and Phil Hoffman. I think the award will probably go to either Ledger or Brolin. They both turned out a very good work this year and I think everyone knew it but you also can't count Phil Hoffman out of the running considering all the great work he's done. I recently saw Revolutionary Road and I didn't even realize who Michael Shannon was in the film but I mentioned to my friend that the actor who played John should be nominated. He was absolutely fantastic! He was possibly one of the best characters in the film but I think regardless of how good he was, I'm not sure he had enough screen time to win in a category with such talented actors. Now this is a seriously good list of directors. All of them have turned out a lot of good work over the course of their careers and these films are nothing to scoff at. I love Danny Boyle, especially his early work, and I think he did a great job and he may win it. However, I am very partial to David Fincher considering he is one of my favorite directors. He may have a good shot but unfortunately, I don't think he'll be sharing a ride home with oscar. Gus Van Sant did an excellent job on MILK, and I don't mean to offend him or his work when I say this, but I think the film could have survived with another director unlike a film like Slumdog. Ron Howard also has other great work under his belt so he may be a contender. I haven't heard much about Daldry's work but I hear the film is fantastic. I hear Happy-Go-Lucky is great and very funny and after the Golden Globes, I think In Bruges could be a serious contender. I haven't heard anything about Frozen River so I can't say much about it but I think MILK had a great screenplay and that it played a huge part in the quality of the film. WALL·E was great and I loved the movie but I don't really think it will win this award. I loved both of the movies that I did see in this category but I wasn't in love with their screenplays. Benjamin Button was nice and heart warming and inspirational but a little cheesy, however don't count Eric Roth out considering he was nominated for Munich and The Insider and won for Forrest Gump. Even though I haven't seen it, I predict this one going to Doubt. I just have a feeling. I must say though that I'm a little disappointed that Revolutionary Road wasn't nominated. Again, I have to give it to Slumdog but don't count Benjamin Button or MILK out. I really liked the costumes in Revolutionary Road because I really like the styles from that era but I think the Duchess will win just because it's a victorian piece. Benjamin Button had great make up and I thought Brad Pitt looked amazing but most of what looked like incredible make up was actually special effects, so I don't think it will win. The Joker looked awesome in The Dark Knight and so did Two Face but I don't think those two characters are enough to win. I give the win to Hellboy II because as always, Guillermo del Toro showed the world some of the most incredible creatures ever thought up and this team brought them to life, so I say Hellboy all the way. I wish the Boss was nominated for The Wrestler because then he would win another award for the song but since I have to choose from these three, I give it to one of the Slumdog songs. People loved the music in the film and I don't blame them, I just liked the Peter Gabriel song better. Even if you hated Benjamin Button, I'm betting you loved the special effects. They were fantastic! I was amazed at how great they were and I really hope it wins. I will be very surprised if WALL·E doesn't win. They were planning on giving it a Best Picture Nomination for Christ's sake! So those are my predictions and I hope I am right. If I see any more of the nominated films before the Oscars, which I plan on doing, I will update my prediction if necessary. Bon Iver...Why Are You So Good? Today, January 20th could have been one of the best days in new music in a long time. First of all, Andrew Bird came out with a new album and it is AWESOME. SOOOOO good!!!! 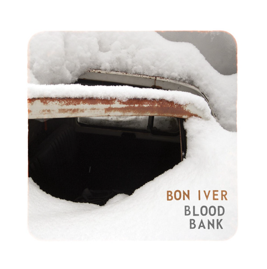 I love it and you must buy it now but the highlight for me today was the release of Bon Iver's new EP, Blood Bank. These four incredible songs has completely changed not only the way I look at Bon Iver's music, but music as a whole. It is in every sense of the word, perfect. Bon Iver has taken all of his talent from his first album and has added tons of energy. Every second of this album is strong, powerful, beautiful, fragile, and tight. Unlike For Emma, Forever Ago, the EP was produced at a much higher quality and it really shows through. Every sound is heard clearly and it doesn't have any rough edges. The first song on the EP is Blood Bank, a very strong song with a lot of great components. The dull guitar reminds me a little of Neil Young and it is solid like a rock. It really flows but hits hard. Vernon's vocals come in next and they are haunting as ever. His voice is just perfect and it blends right in with the rest of the song. The lyrics are also fantastic, painting a beautiful picture but at the same is a little scary. The next song is Beach Baby, a throw back ( I guess its not much of a throw back since For Emma came out last year but...) to For Emma, Forever Ago. It's a very kind and gentle song that really slows everything down. The lyrics as well bring a calming effect to your body. The third track, Babys, is awesome and heart pounding. The high pitch piano is great and really hits your ears in a very nice way. It's very intense and really energetic. The lyrics make me think he's running from something but running with someone. All the high pitches in this song come together in an erie, melodious, beautiful, Bon Iver-y way and is very good. Now on to the real gem of the EP, Woods. I can say little about this song except for...WOW! This song is fantastic and his best song yet. It sounds as though it came to him in a dream and the thoughts and tune could not escape him. I love that he didn't add any instruments so that we can really focus on the lyrics, which are fantastic. They really capture the essence of the song and I think what his music is all about. He only sings one verse the entire song but he sings it over and over again, adding and subtracting layers of vocals each time and each verse, sounds like a new song. The high pitch wails scream power and passion, the extremely low, almost indecipherable blows go straight to the soul and pulls at the strings of my heart. Together, each part of the song is perfect and nearly brings me to tears each time I listen to it (9 to be exact). If you're going to buy this EP, the main reason should be to hear this one song that may change your ears forever. In the end, this is the first must hear album of 09 and I think it will stay at the top of my list for a long time. I give it 5/5 stars and I only wish I could personally thank Justin Vernon myself for writing such beautiful music. So I leave you with a quote I came across that was said by Jagjaguwar, the record label that Bon Iver is signed to, about the new EP that I feel is very true. "As much as Emma is about the cold, the Blood Bank collection is about the warmth that gets you through it. You can feel the air move. Like a fire you've been stoking for hours and finally got to sustain itself, the heat blisters your face while your back is frozen solid."